Kohler's Ingenium flushing system is relatively standard, so far as toilet operation is concerned. The system uses a standard flapper with a float to suspend it, allowing the flapper to close when approximately 1.6 gallons of water have been delivered from the tank to the toilet bowl. Used in a number of Kohler's toilet lines, the system can be adjusted to modify the amount of water released per flush, but if your Kohler toilet flapper or related part seems to be failing, fret not. Kohler Ingenium flushing system repair is incredibly easy in most situations. To adjust the amount of water your Kohler Ingenium toilet releases per flush, you may want to adjust the toilet's fill valve. The fill valve determines the amount of water held in the toilet tank. This long, dark-colored tube will have a screw to its side. This can be adjusted either by hand or with a Phillips-head screwdriver. One full turn counterclockwise will decrease the water level in the tank, while a full clockwise turn will increase it. When adjusting the water level in your toilet, or when seeking to prevent or stop "ghost flushes" that result from water leaking out of the tank and into the bowl, adjusting the flapper in your Ingenium toilet is often necessary. The chain connecting the flapper and its float may need to be shortened or lengthened to account for the new water level. This can be done by using a pair of needle-nose pliers. Before adjusting the float, turn off the water line to the toilet and flush once to drain the tank. Next, remove the flapper by disconnecting its arms from the flush valve, then use the pliers to pry open the clasp holding the float chain in place. Raising the float's position on the chain will lower the amount of water released per flush, and lowering it will increase the amount of water flushed. If your toilet tank is leaking water into the bowl, examine the rubber gasket beneath the flapper. If it's degraded somewhat, use a razor to trim away the damaged portions before replacing the flapper. This should allow the flapper to close and form a seal, preventing further water leakage. 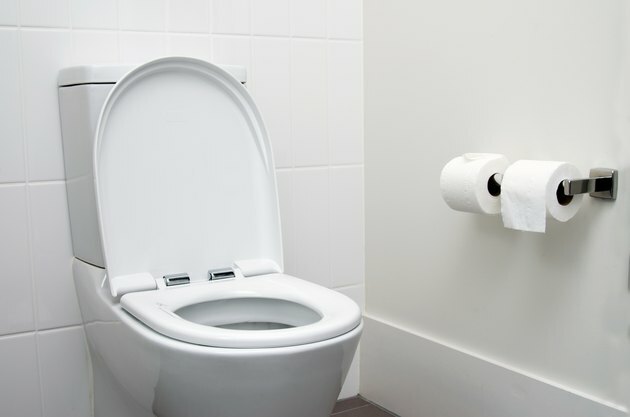 If your toilet is having issues that can't be solved by adjusting the fill valve or flapper, it's possible that the parts need to be replaced – or worse, that the toilet's gasket needs to be replaced. Fill valves, flappers and floats are easily replaced, and spare parts can be acquired online either through Kohler's website or through third-party sellers. When searching for compatible parts, specify the line of your toilet rather than its flushing system. For example, searching "Kohler Santa Rosa parts" will provide better results than "Kohler Ingenium parts." In the event that the gasket is the source of the problem, you'll likely want to seek professional assistance as toilet gasket replacement requires disassembly of the unit.